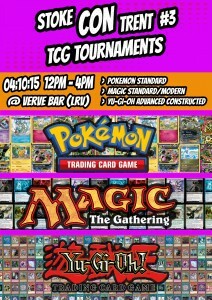 We are introducing a new event to Stoke CON Trent #3 for all you that love playing collectible card games. 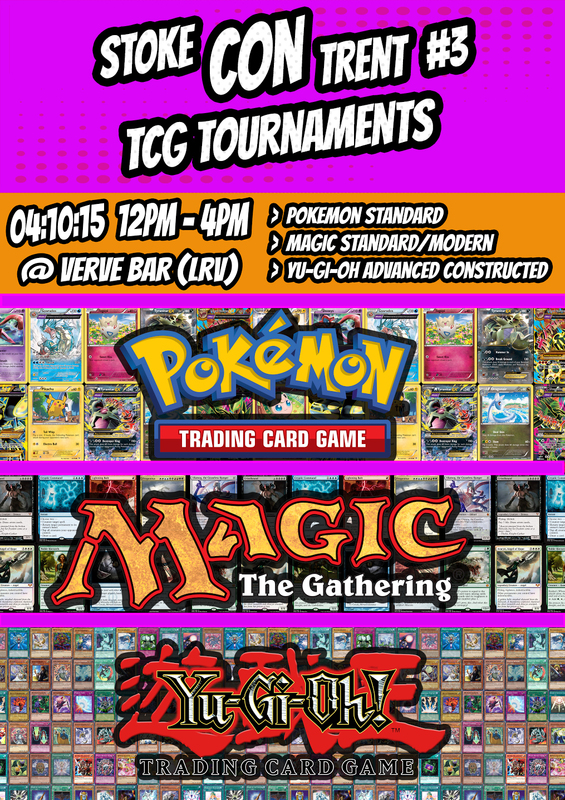 In conjunction with TCG Tournaments we will be playing Magic the Gathering Standard/Modern (depending on turnout), Pokémon TCG Standard format and Yu-Gi-Oh Advanced format. The tournaments will start at 12 noon in the Verve and you can come and swap cards too, but we can’t be responsible for any deals.